If there’s one thing every apartment tenant can agree on, it’s that additional storage space is a valuable commodity! Regardless of your unit’s square footage, it’s always nice knowing that everything has its place without boxes and storage containers toppling over. 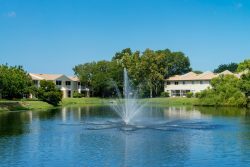 When it comes to fully utilizing the space your apartment in Florida has to offer, you want to enjoy it, so avoid overcrowding by taking advantage of nearby storage facilities in the Bradenton-Sarasota areas! The team at StorQuest welcomes boats and RVs during the offseason, too. After all, the sidewalk is no place for valuables! Why move to a larger apartment if you can store your things? Hide-Away Storage in Bradenton is on a mission to help you get your apartment and belongings organized with their monitored storage facility AND moving services! 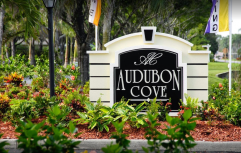 If you plan on moving to one of Forest Properties’ apartment complexes in the area, like Ranch Lake Apartments or Audubon Cove, Hide-Away Storage offers portable storage units to keep all of your belongings compact and organized in one spot throughout your move. The best part? These nifty units start at $59 – making them perfect for a mover on the go! Sounds like this is something to add to your moving checklist! Living in Florida means taking advantage of the great outdoors and accompanying activities – which includes surfing, boating, bike riding, and so on. But can your apartment comfortably house these accessories during the off season? If not, look no further than Life Storage! These guys provide storage options that compliment the Florida lifestyle. With 5’ x 5’ storage units starting at $38 a month, take your pick of an endless variety of unit sizes. Check out their unit estimate tool to get an idea of what size perfectly compliments the items you’re looking to store. Talk about personalizing your options! For large items, such as boats, RVs, and trailers, parking spots are available for rent. Many offer covered, outdoor, and drive-up access, as well as 9 foot ceilings. With unit sizes ranging from a small walk-in closet to a full size garage, keeping all of your stuff in one organized place outside of your apartment couldn’t be easier. Extra Space Storage’s smallest unit measures 5’ x 5’, and the largest 10’ x 30’. Be sure to check out their tips to help guide you into your new square footage, as well as their 3-D unit size guide! How would you prefer to store your vehicle? The choice is all yours at Extra Space Storage! With enclosed drive-up as a popular option, this company also provides covered/uncovered outdoor parking spaces, and specialty spots for large RVs and trailers. Are you ready to get your storage move on? Maybe you’re looking to relocate to a larger unit? 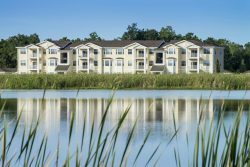 Check out Forest Properties’ latest Florida apartment listings!